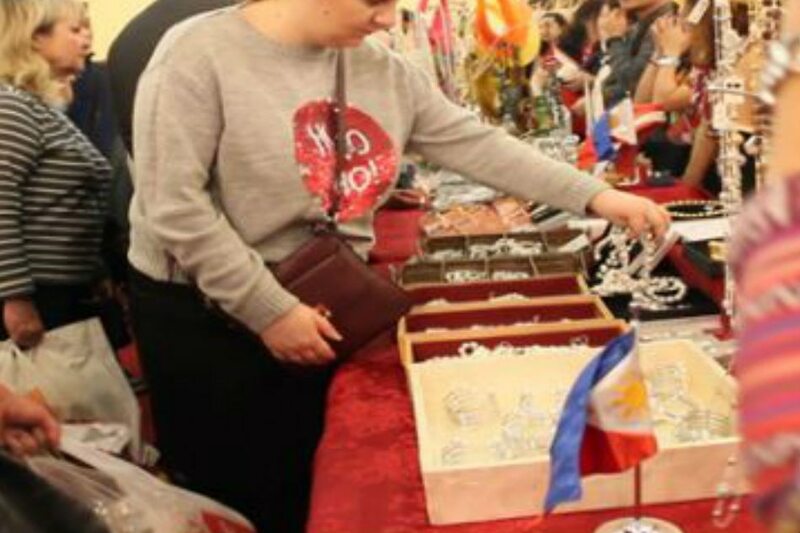 MOSCOW, Russia - The Philippine Embassy in Moscow was among the 100 participants at the recently concluded 29th International Women’s Club (IWC) Winter Bazaar 2018 held at Radisson Hotel. Members of the Philippine embassy sold Filipino handicrafts, pearl collections, organic coconut products, dried and pureed mangoes, and some local delicacies. The daylong bazaar also showcased cultural presentations from some of the participating countries. “Nakatutuwa na maganda ang reception sa cultural show natin dito sa women’s bazaar. [Isa itong] malaking event para sa [pagpapakita] ng cultural heritage natin,” said Vice Consul Luningning Camoying. “You have great people, great sellers, great products. I see that they are filled with such love and kindness. I have never been to the Philippines, but I have heard about this country and it seems to me that they are kind, cheerful and good people. I would like to go there soon,” said Russian visitor, Yulia Vladimirovna. The Winter Bazaar is the largest women’s club and charity fundraiser in Moscow. Proceeds go to several charity projects managed by the IWC Charity Board.